Do you remember Jesus’ parable of the three servants who received different amounts of money to manage while the master was away? We’ve each received from God distinctive gifts and talents. How we develop and use these talents is a matter of stewardship. Like two of the servants in Jesus’ story, we can invest them wisely — or like the third, out of fear we can hide them (Matthew 25:14-30). As stewards, we acknowledge the gifts we have without apology. We develop them further, practicing new skills and putting our talents to work in ministry. —This explanation of stewardship is an excerpt from The United Methodist Member’s Handbook Revised and Expanded, pgs. 20-21, George E. Koehler ©2006, Discipleship Resources. 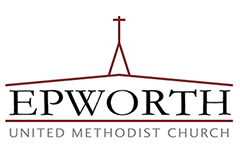 Below you will find testimonials from members and friends of Epworth United Methodist Church sharing personal stories of why they give. We thank them and each you for making the ministries of the church possible through your commitment of prayers, presence, gifts, service, and witness.